The housing market contributes approximately 18 percent of the U.S. GDP. With so much at stake, a recent Treasury report on the U.S. financial system is recommending extensive mortgage lending reforms. Included in the mix of industry transformations is the January 2018 deadline to collect much more fine-grained loan data about borrowers and loan costs under the Home Mortgage Disclosure Act (HMDA). The new HMDA rule requires reporting on 48 data fields—including 25 new data fields mandated by the Dodd-Frank Act, as well as fields required by the CFPB under its discretionary authority. ►Extensive implementation costs for systems and business process changes immediately on the heels of the implementation of the TILA-RESPA Integrated Disclosure (TRID) rule. ►Privacy and data security concerns, because the new data set contains confidential information—such as credit scores—which if improperly released could cause significant harm to borrowers’ claims against lenders, and even undermine homeownership. ►Increased litigation risk. HMDA has been a major source of fair lending claims in the past, and the new data will allow greater analysis of application and loan data to evaluate impacts on protected classes. While HMDA’s purpose is to shine light on lending practices, data can be misused to present unfair claims—forcing costly litigation defense, and/or settlements and causing significant reputational harm. 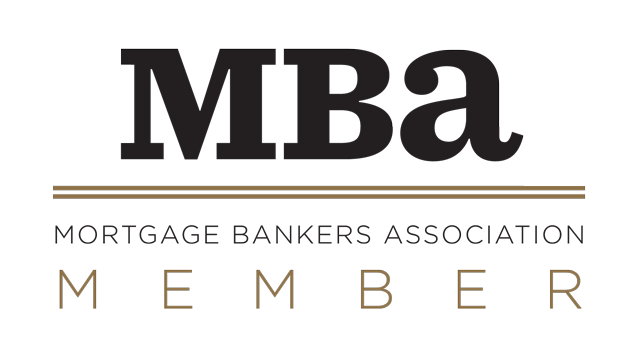 Burdened by regulations and the need to manage collaborations and communications with dozens of ancillary financial service providers, the mortgage industry needs a reboot! Fortunately, fintech solutions are evolving to deliver advanced lending process automation. New solutions exist today that simplify and streamline mortgage servicing, such as appraisal, verification services, valuation, flood zone determination and more. First, let’s look at the progression of financial technology platforms. The stand-alone vendor portal allows for ordering products from an individual loan originator, usually involving just one product, but may include a several mortgage servicing products. Users login to each of their stand-alone vendor portals using a user name and password. This process is difficult to secure from individuals outside your organization when your employees share their user names and passwords. The stand-alone vendor portal generally returns the order fulfillment to the user in the portal to manually use as part of their mortgage servicing and business operational procedures. The financial services provider then sends a monthly invoice to the lender for all orders. The next generation of product is the point-of-sale solution, which typically features two or three products with limited event types, such as place order, cancel order and receive order. The point-of-sale solution is typically integrated into a commercial loan origination system (LOS), such as Encompass or LendingQB, usually not requiring the user to login to each vendor’s point-of-sale solution. The next generation of product to emerge is the basic assembly-line technology that integrates into the lender’s proprietary loan origination systems. This platform can support a larger variety of product types. The major benefit is the ability to support the lender and mortgage banking operational workflow for higher levels of productivity and processing large numbers of loans in an assembly-line style process. One draw-back with assembly-line technology is that customization and integration with mortgage lenders’ existing systems can be time-consuming and expensive. The most advanced fintech allows lending process automation, including dashboards that can be customized for banks and mortgage lenders’ needs. By automating the mortgage servicing process, manual inputting errors and redundancies are minimized. Fewer people can do more work. Once information has been captured for a particular loan, subsequent product orders will automatically prefill the forms. Duplicate orders are identified to help lending institutions to contain costs. Banks, credit unions, lenders and financial institutions reduce processing fees and gain greater productivity. Let’s take a closer look at how lending process automation fintech accelerates the mortgage loan process. 1. Repetitive and time-consuming tasks will be eliminated. Mortgage service team members will be freed up to focus on more profitable, higher level work–such as prospecting and communicating with borrowers. ►The fully automated lending process will include background checks, contracting, and legal review through contract e-signed or wet-signed. ►Lenders’ rules and guidelines are stored in the system ensuring mortgage service providers comply with requirements of the banks and financial institutions. ►Electronic capture of all compliance documents, including all policies and procedures, licenses, insurances, bonds, and pertinent plans. ►The automated system minimizes errors, manual inputting and duplication of efforts for superior loan processing speed. ►The streamlined system eliminates charges for reprocessing of orders with errors. For example, when the borrower initiates payment for a property appraisal, the system can automatically schedule the appraisal at the same time, minimizing steps in the process. A typical appraisal can take as long as 60 to 70 days. By automating the process, mortgage lenders could decrease the time to 10 or 15 days and assist in closing more loans. 2. Using a modern order management platform, banks, credit unions and all financial institutions involved in mortgage lending, can interface with multiple financial services providers–from appraisal management companies and title providers to employment verification, flood determination and more. The communications, documentation and each step in the process are saved in the system, including credit verification, automated valuation model, property titles, location maps, photos, comparable property information, inspections and other reports. With all documentation in one easily searchable database, communications between lenders, banks, realtors and financial services providers are simplified, facilitating transactions. 3. A dashboard and customized reports on the performance of financial services providers gives mortgage lenders the ability to evaluate the loan process at every milestone. The dashboard will include metrics offering lenders additional insight into operational performance with alternate options to sequence and time their orders. Armed with this information, financial institutions can make decisions to finalize mortgage loans faster. The system can also conduct compliance checking and invoice reconciliation for lenders, calculating each provider’s monthly invoice, as well as management of the dispute process. This level of transparency allows banks to take advantage of preferred pricing, volume discounts and better manage contractual terms to control costs.4. The most advanced fintech solutions also provide comprehensive security and redundancy. Modern architecture should be expandable in AWS with full disaster recovery capabilities. The technology will be stable, reliable and easy to integrate into existing systems. With advanced protection against attack and intrusion the platform should include advanced denial of service (DoS) safeguards built into its architecture. In an industry facing expanded regulations, smart mortgage lenders and financial services providers are exploring fintech solutions to maintain a competitive advantage. Lending process automation simplifies communications and order management and speeds loan completion, while managing transaction costs. Savvy financial institutions that embrace the most advanced fintech solutions offering comprehensive mortgage lending process automation will be more productive, profitable and offer enhanced customer service. This article originally apeared in the September 2017 print edition of National Mortgage Professional Magazine.